Looking for golf ranges in Sydney with full auto-tee technology? 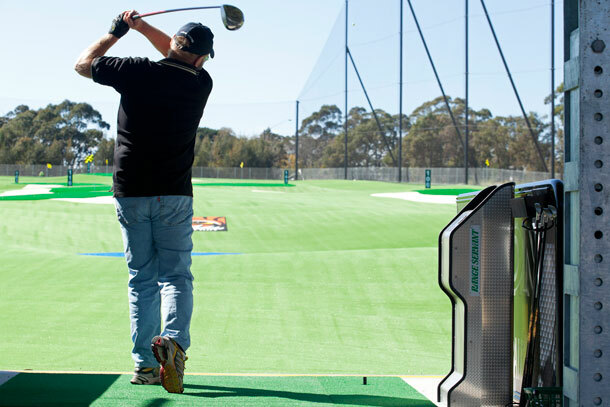 Our golf ranges in Sydney has 20 hitting bays equipped with full auto tee technology. The auto tee-up system tees a ball up every 4 seconds and comes with auto tee height adjustment. This technology is guaranteed to deliver you a unique practice experience. You can maintain your stance between shots, you can hit more balls and develop better muscle memory, this will improve your rhythm and your confidence. The system is also ideal for golfers with back problems as it eliminates the need to bend over to tee-up a ball. Come in or make an enquiry online.